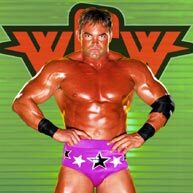 If his latest appearances on Federation television are any indication, Shawn Stasiak will have a hefty impact on WCW. Stasiak appeared on Federation television as one of the WCW Superstars that helped Diamond Dallas Page ambush the Undertaker. Later, he served as one of the WCW team members who joined forces with members of the resurgent ECW to take on the powerful World Wrestling Federation. After helping make such huge waves in a short time span, it's obvious that Shawn Stasiak has big plans for his time in WCW and is a superstar to keep an eye on!